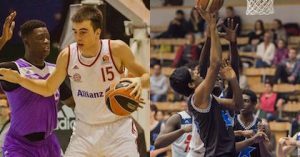 Taking The Charge Podcast Episode 232: We take a look ahead to the Adidas Next Generation Tournament in Belgrade before going back to ANGT Coin for an interview with Serbian star 2000-born talent Marko Pecarski of Bayern Munich. And we finish with a talk with India’s 2001-born talent Harsh Tomar of Stellazzurra Basketball Academy Rome. Episode 232: We look ahead to the Adidas Next Generation Tournament in Belgrade.